The whole nation knows how important his father Ramesh Tendulkar and brother Ajith Tendulkar are for legendary cricketer Sachin Tendulkar. 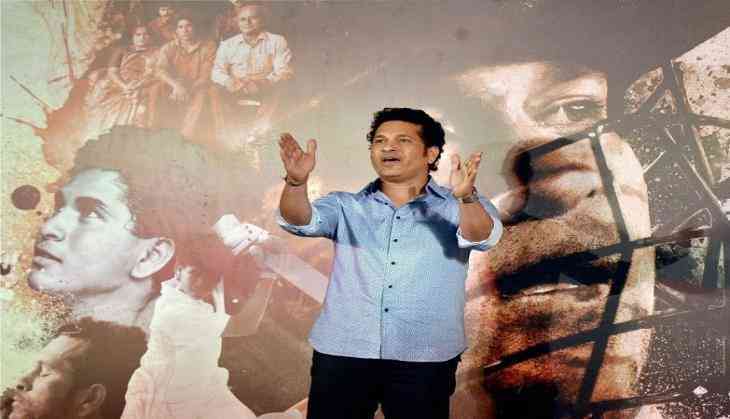 It is now learned that the Master Blaster wants to dedicate ' Sachin A Billion Dreams' to his father and brother. Tendulkar's father used to tell him in his childhood that no matter if he has chosen cricket in his life, what would matter in the end is how virtuous he was as a person. Whereas Tendulkar's brother Ajit played an integral part in his life as he was the person who introduced him to cricket, who introduced the former Indian batsman to his coach Ramkant Achrekar and encouraged him always during his cricketing journey. The 44-year-old still remembers all the guidance and lessons his father and brother has given to him and those lessons have made Sachin the man he is today. He has been an inspiration for millions not only as a cricketer, but also as a person for his humble nature, humility and down to earth nature. 'Sachin: A Billion Dreams' traces the journey of the Indian cricket legend and will bring the unknown story of his struggle on celluloid. All the content pieces of the film, which has been released, have created immense buzz and a lot of anticipation for the film. Produced by Ravi Bhagchandka of 200 Not Out and Shrikant Bhasi of Carnival Motion Pictures, and helmed by Emmy-nominated James Erskine, 'Sachin: A Billion Dreams' is all set to release on 26th May 2017.